Revolution 50 Series: The highlight for the year ahead will be Tecnau’s new Revolution 50 series for web-fed color inkjet printers, a family of products featuring top speeds up to 656 fpm/200 mpm, Internet-of-Things (IoT) compatibility, and media ﬂexibility as required in today’s most demanding digital print environments. 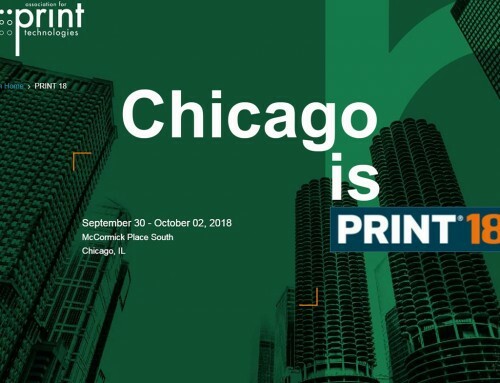 The first member of the Revolution 50 family, the new Stack 5250 system for cutting and stacking continuous inkjet-printed output, was first shown in Tecnau’s booth at the Print 18 in Chicago this past October (where it was recognized as a “RED HOT Technology”). 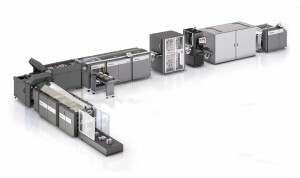 Featuring the double-cutting Cutter c52, Tecnau’s Stack 5250 accommodates the broad range of papers and heavy ink coverages characteristic of the demanding graphic arts applications migrating to inkjet print as enabled by the emerging generation of high-speed inkjet presses. 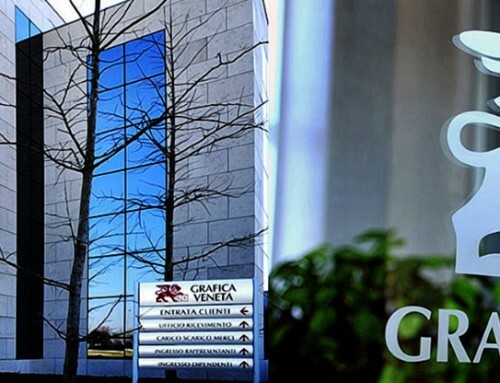 Tecnau has accepted Stack 5250 orders from early customers and will be making the system broadly available shortly. Zero Speed Splicer r40: Building on the company’s proven Zero Speed Splicer u40 splicing unwinder, Tecnau is now launching this splicing rewinder. 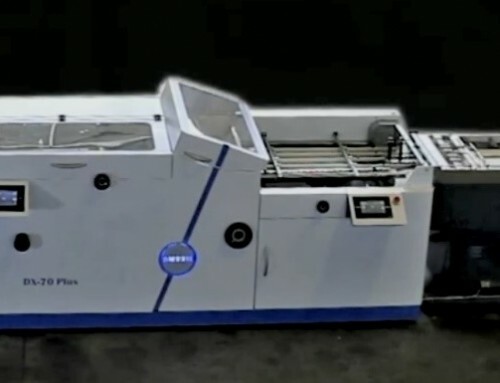 Pairing the two splicers together around a high-speed web-fed inkjet press will allow customers to absolutely maximize digital inkjet productivity. With today’s fast printers completing rolls as quickly as one hour, percentage downtime due to roll changes can approach 25% or more. With the Zero Speed Splicer r40, this percentage drops to zero. Significantly, the Splicer r40 also virtually eliminates the lengthy paper waste associated with printer stoppages due to roll completion. Splicer r40 also offers media flexibility features, as it may produce mini-rolls for urgent work, or switch back and forth between rolls job-by-job to form rolls with common destinations for finishing. 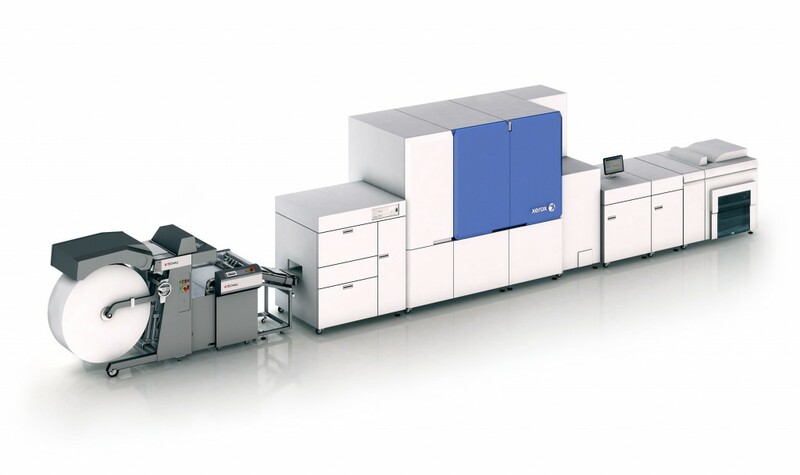 Libra SR: Tecnau adds to its Libra book-block making family with the introduction of the Libra SR system for short-run production of book blocks behind high-speed web-fed inkjet printers. 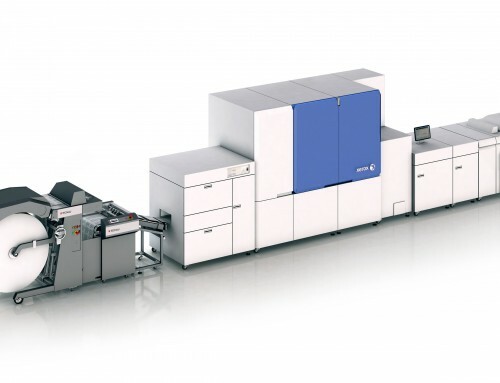 Libra SR is based on Tecnau’s established Libra One system which incorporates fully dynamic cutting, perforating and folding modules to produce automatically books-of-one with no operator intervention from one book size to another. 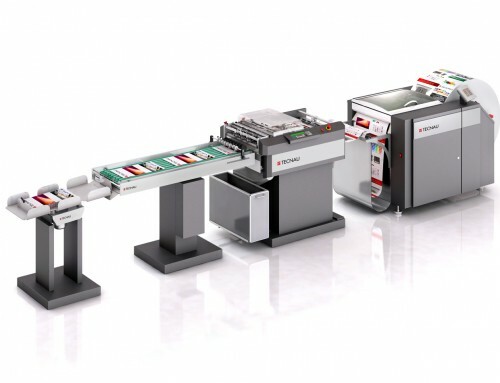 Available now, Libra SR offers a lower level of automation to cost-effectively produce short-run glued book blocks for inline or near-line binding, with fast manual changeovers to switch book sizes. Dynamic scoring and creasing: Dynamic scoring and creasing capability is now available on Tecnau’s dynamic processors, both the TC 1550 HS line for continuous inkjet printers and the TC 1530 line for sheet-fed processing. 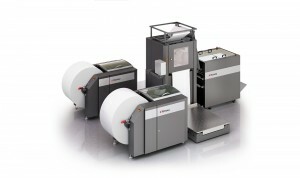 Each of these processor lines, with their dynamic perforating and file hole punching capabilities, may now also be ordered with added dynamic horizontal scoring and dynamic vertical creasing functionality to allow users to further expand converting processes available to their high-speed digital printing customers. 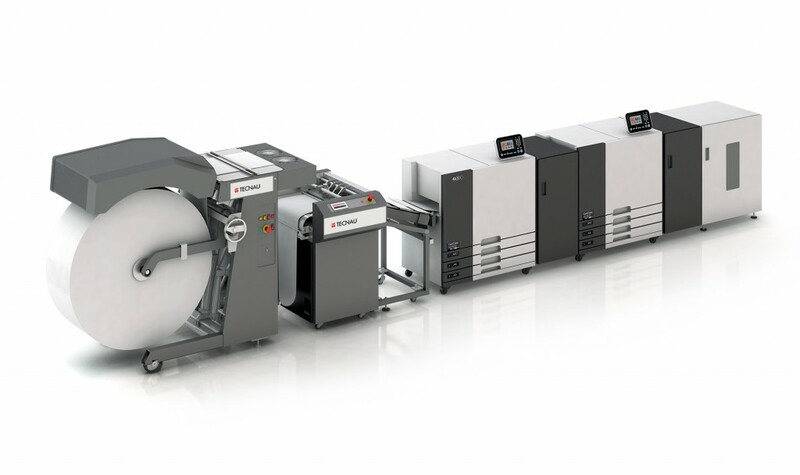 SheetFeeders: Already the market leader of roll-feed systems for sheet-fed digital printers, Tecnau’s recently announced SheetFeeder BV for the Xerox Brenva HD Production Inkjet Press and SheetFeeder T2 for the Riso T2 twin-engine cut sheet production inkjet platform are beginning to ship to customers here in 2019. 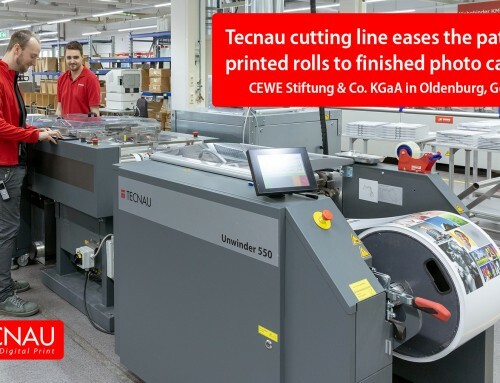 Tecnau’s established SheetFeeder systems sit next to the input side of the press and include a quick-change unwinder, precision cutter and sheet transport. By feeding as many as 50,000 or more sheets from a single 50” diameter roll, users print more in less time while lowering paper and labor costs.